What is Razer up to? Razer has purchased Nextbit, makers of the affordable Robin smartphone. Nextbit joins THX and Ouya as subsidiaries of the gaming peripheral maker and we can't help but wonder if the company has some grand vision it's trying to execute. More than likely this is another attempt by Razer to diversify its portfolio. That's sort of the been the company's strategy for a long time now, ever since it grew bored of only selling mice for PC gamers. Even as Razer expanded into keyboards and headsets, logical next-steps from selling mice, it's eyed other categories such as wearables (Nabu) and portable speakers (Leviathan Mini). As for Nextbit, the smartphone maker will remain a separate entity from Razer with its own management. It will also provide its own product support and software updates. For Nextbit, it saw appeal in being acquired by Razer so that it could reach a wider audience. 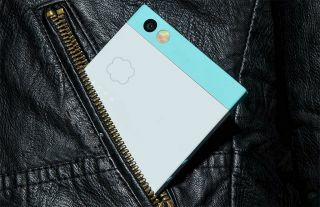 However, there are multiple reports that Nextbit will no longer offer its cloud-based Robin phone. Nextbit ran a successful Kickstarter campaign to fund Robin. The phone is powered by Nextbit OS, a custom version of Android. Its big selling point is that it integrates with the cloud and adapts to how it's being used. Over time, the phone learns what the owner uses most and archives the rest in the cloud. Nextbit co-founder Tom Moss told CNET that a Robin 2 is not in the cards, at least not for now. Whatever the company does have planned under new ownership remains a mystery for the time being. "As for future products, I'm strictly forbidden from breathing a word about them," Moss said.